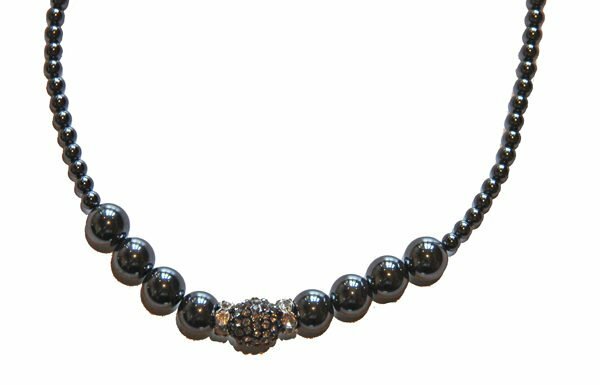 This hematite and rhinestone necklace measures 42cm (16 inches) which falls in to a very auspicious Feng Shui measurement (Pun) from crystal to crystal which signifies protection and lots of new finances coming in and good fortune. We had these necklaces altered as they originally fell in to an inauspicious size which can bring a lot of bad luck so we added more hematite to lengthen the necklace so that the necklace fell in line with an auspicious size. 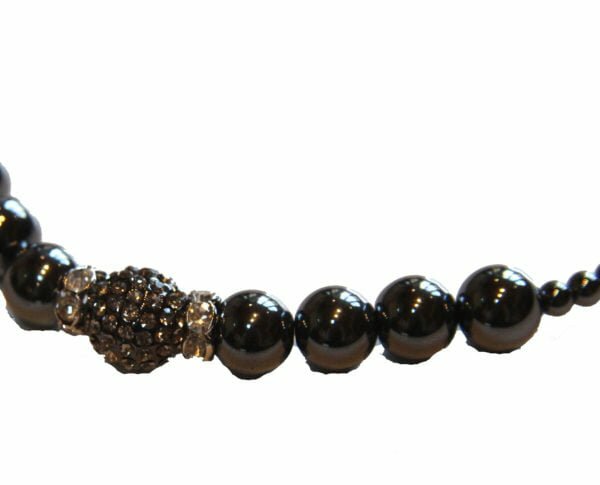 Length is very important when picking necklaces as necklaces are worn daily and should have the size taken in to consideration. 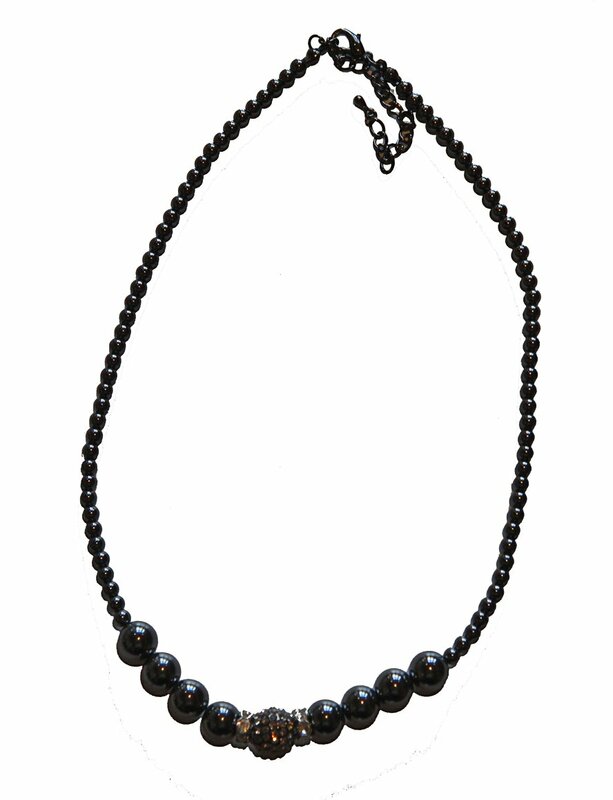 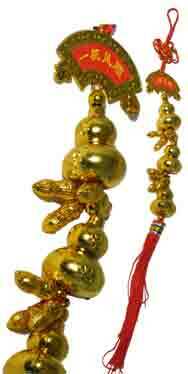 This necklace is presented in a beautiful organza pouch.